Because We Care About Your Comfort! Everybody dreams of finding the place they belong. We can search for our whole lives, hoping to find a location that makes us feel happy, safe, relaxed and prosperous. When you finally set your sights on it, you can’t wait to move in, however, whether it is a business or a home, the relocation will be a challenge, as you have to contend with dozens of prolonged and difficult chores. 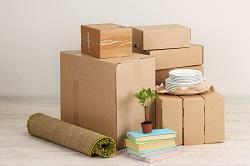 Packing, planning booking, carrying, sorting, confirming, and more will lay ahead of you and it can become stressful and ruin the entire process. Luckily, help is at hand because Southwark Removals exist to handle every moving chore. Call us today on 020 8746 9654 and we can begin to provide all the assistance you could ever need. 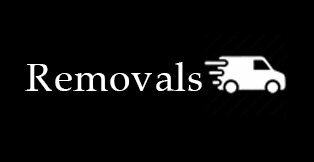 We are based in South London but can help you move all across the UK and overseas. Before we start to tell you what we can do for you, you have to know what a new abode can provide. You shouldn’t rush into a move because you may wind up forgetting something that you desire or require. Your new abode should have the right amount of room you want, whether you are looking for somewhere smaller or bigger. A Larger residence can be ideal if your family is growing or if you want a room you previously didn’t have such as an office, storage area, attic, garage, basement, nursery, library or additional bedrooms and bathrooms. You may not have a garden at the moment so this can be the perfect chance to add a green patch. If you need special facilities at your home such as disabled access/parking, then you should make sure you inquire into it. The surrounding area is equally important when moving and so you should make sure it is what you want. You may want to relocate to the busy city, the simple suburbs or the calm country. Whatever it is, each can bring benefits, but just make sure you are close to the things you need such as shops, your workplace, schools, restaurants, pubs, transport terminals, parks, hospitals and so on. You should ensure the locale matches your lifestyle and is a safe and pleasant place. Relocating a business can be a huge opportunity as it can bring untold success to your firm. It gives you the chance to expand, allowing more products to be displayed, extra room for your staff to work and additional space for new employees. A fresh, modern and high tech facility can make your business look better and the nicer atmosphere can encourage your staff and create stronger image in the minds of your clients and partners. Once again, the vicinity is important, because it allows you to go somewhere that makes you easier to find and access. The easier time you customers, partners and even workforce have getting to your firm, the simpler and more successful things will be. Southwark is a district in the centre of London, only 1.5 miles from Charing Cross. It is one of the oldest parts of London and is adjacent to the River Thames. It is within the Borough of Southwark and the SE1 postcode area. Archaeological evidence suggests that there has been habitation here for thousands of years and it was known that Roman forces were located here. In was recorded in the Domesday Book and was held by numerous Surrey manors and the Bishop of Bayeux had a monastery here. It developed over time to become a town and Parliament was held here. Southwark soon became was known for its many inns and was the starting point for the characters in The Canterbury Tales. It became an entrainment district was various playhouses with William Shakespeare working at The Rose, with The Globe soon being erected. In the 19th century, the area became urban and the railway was opened. In recent years, the town has undergone major regeneration in order to improve every part of it. Southwark’s proximity to the City of London has attracted many big businesses, taking advantage of the many commercial properties here. Trains stations here allow for easy access to any part of London quickly with Liverpool Street station only being 28 minutes away. The area boasts a diverse selection of restaurants and other eateries, not to mention several pubs and clubs. Landmarks here include the Tate Modern art museum, known throughout the world for its striking pieces and the Design Museum is a highly regarded emporium that displays various types off fashion from throughout the ages and attracts over 200,000 visitors a year. The Imperial War Museum is also located here and records the history of the First World War with different artefacts and exhibits. The Old Vic is a legendary theatre that holds many perforates, as does the aforementioned Globe Theatre that is an accurate reconstruction of the original. The south side of Tower Bridge crosses into Southwark and the area is one of the Greenest Places in London, with over 130 acres of parks and open spaces. Notable people from Southwark include Michael Faraday, Charlie Chaplin, Michael Caine, Emma Thompson, Kenneth Branagh, Terry Jones, Boris Karloff, Charles Babbage, Isambard Kingdom Brunel, Enid Blyton, Charles Dickens, David Haye, Rio Ferdinand, Siouxsie Sioux and many more. So what can Southwark Removals do for you when it comes to your move? Simply put; everything. Just over the phone, we can answer all of your questions, provide useful advice and information, as well as provide a free, no obligation quote. When can then send you an elite team of movers who will swiftly, safely and successfully take care of your packing and heavy lifting. They will then transport everything to your new adders or to our storage facilities. We can help with local or international moves and provide additional support for the latter. So for more details and to take the frost step on your relocation to the place you belong, call us today.